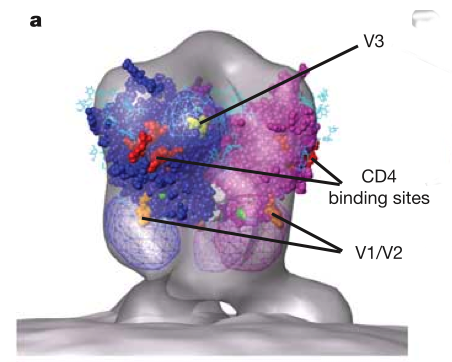 How are multimeric assemblies described in PDB entries? New mmCIF specification published August 2008. 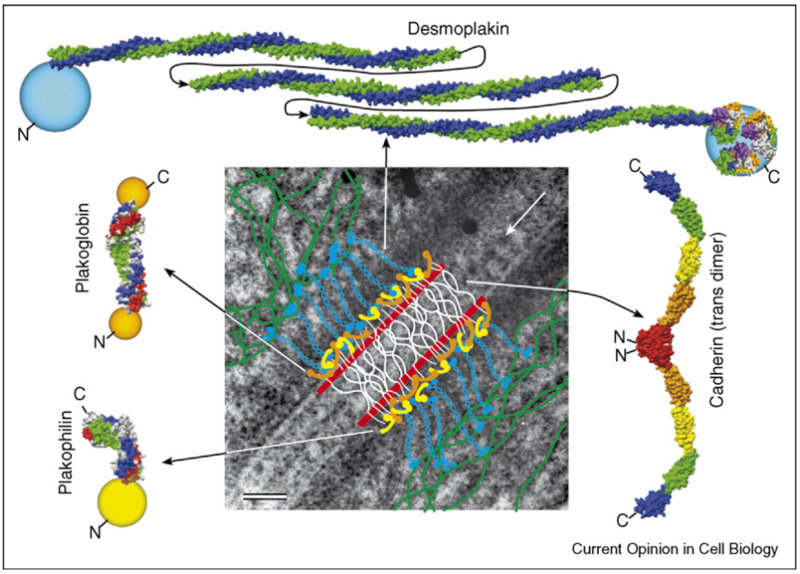 How can Chimera better depict assemblies? 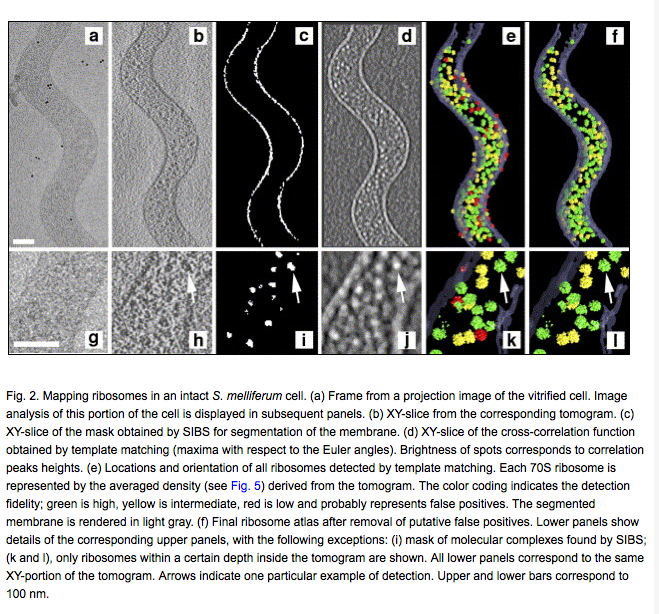 Automatically recognized and color identical and homologous chains. Name chains using biological names plus chain id VP8 (R). What is needed handle symmetric an non-symmetric molecule placement? 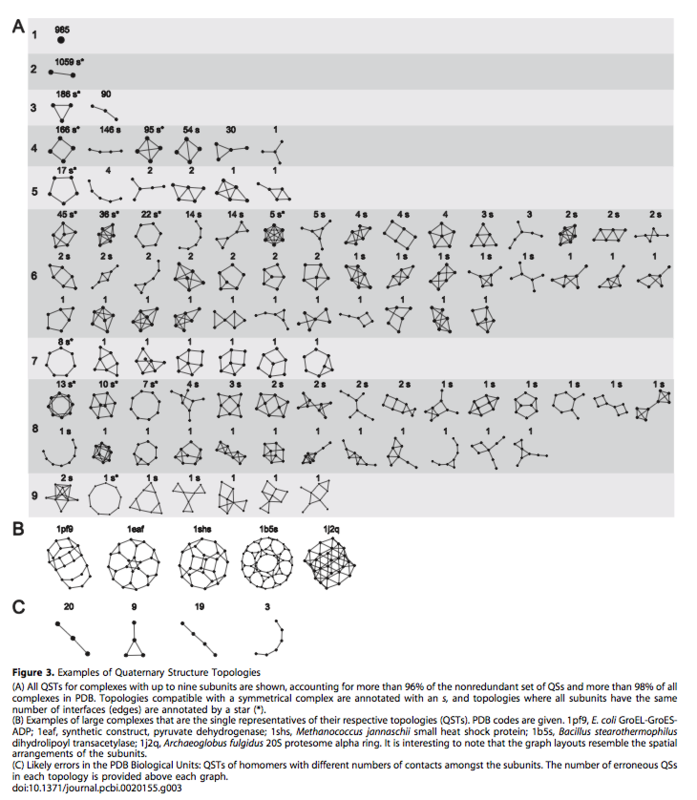 Capability to apply standard symmetry groups to PDB monomers. Ability to save multimeric assemblies created in Chimera. Identify all unique interfaces in symmetric complexes. File format for placing multiple copies of PDB entries in EM maps. 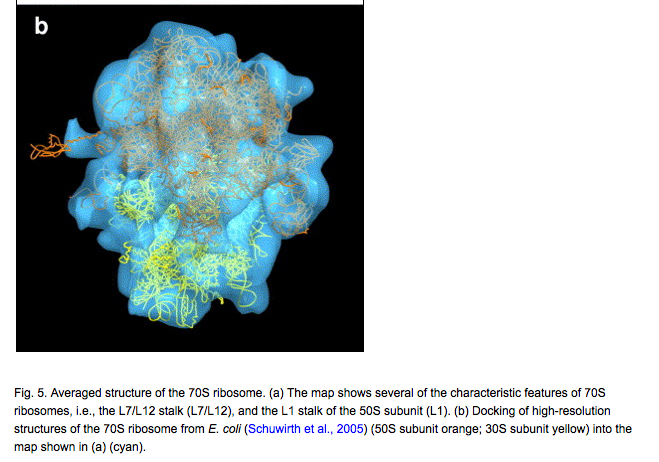 Representation of viruses in the remediated PDB archive. Lawson CL, Dutta S, Westbrook JD, Henrick K, Berman HM. Acta Crystallogr D Biol Crystallogr. 2008 Aug;D64(Pt 8):874-82. Epub 2008 Jul 17. Paramecium bursaria chorella virus type 1 (PBCV-1) is PDB entry 1m4x. Has 3 chains A,B,C forming a trimer. 1680 trimers for the capsid. REMARK 300 INFORMATION ON GENERATING THE BIOLOGICAL MOLECULE(S). REMARK 300 ICOSAHEDRAL POINT SYMMETRY (SCHOENFLIES SYMBOL = I). Levy ED, Pereira-Leal JB, Chothia C, Teichmann SA. PLoS Comput Biol. 2006 Nov 17;2(11):e155. Epub 2006 Oct 5. 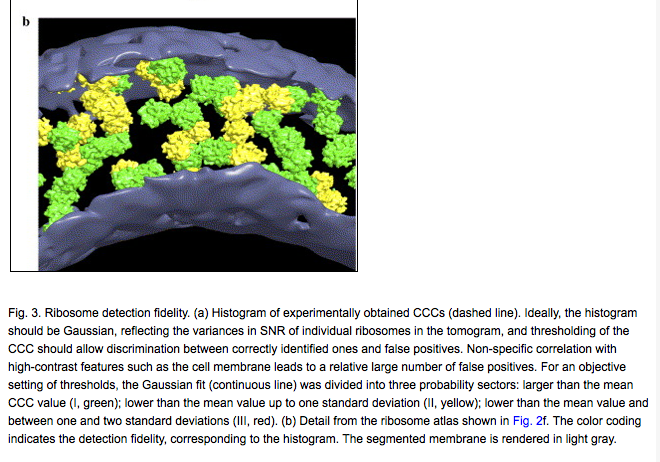 More than half of RCSB structures are homo- or heteromeric protein complexes. 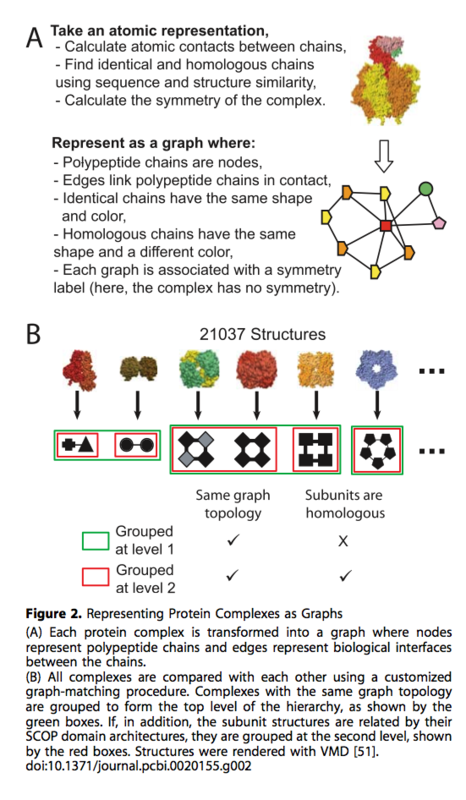 Chimera does not recognize and identify identical or similar chains in multi-chain complexes. Listing all unique contact interfaces between chains would be useful. nucleic acid and nuclei acid/protein complexes excluded all virus coat assemblies related entries excluded. The above entries are available via the PDBidcode search mechanism. 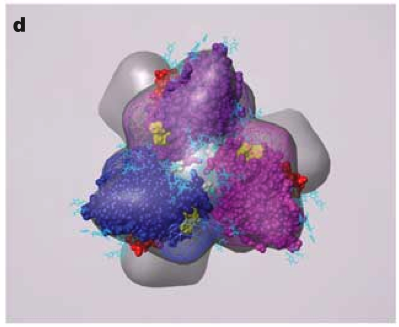 Desmosomes from a structural perspective. Curr Opin Cell Biol. 2007 Oct;19(5):565-71. Epub 2007 Oct 22. Review. 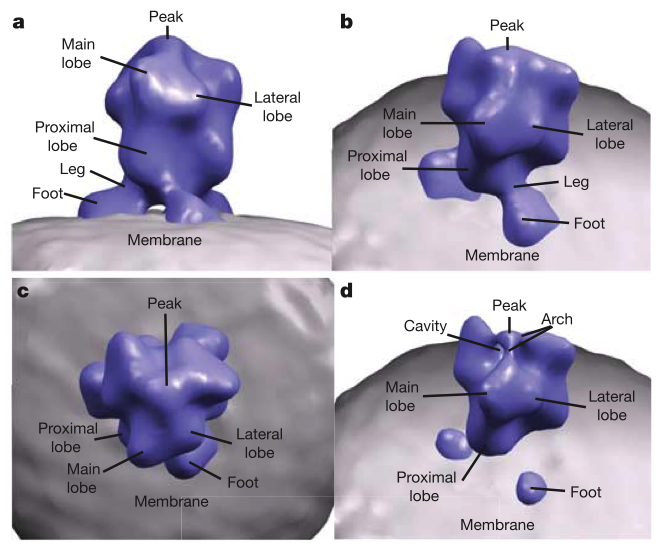 June 2006 EM tomography example fitting HIV gp120/gp41 spikes using Chimera. 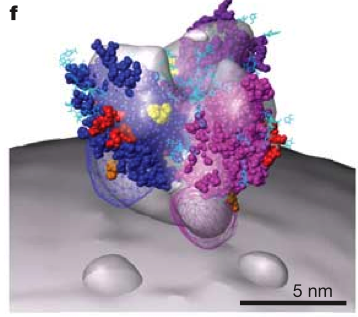 Spikes recognize target cells and initiate viral fusion. 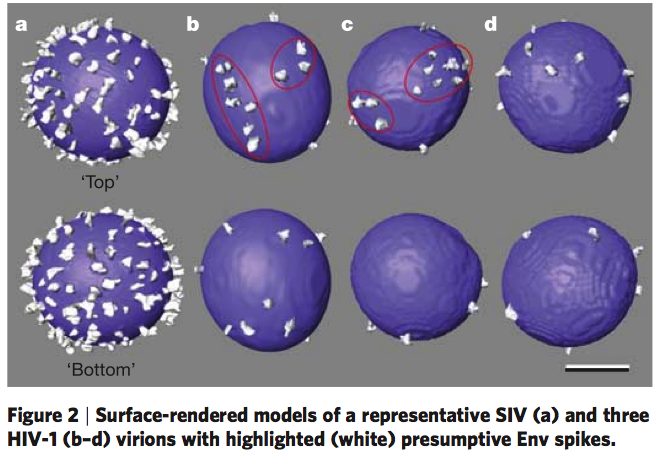 Illustrates combined use of tomography and structure averaging approach. Zhu P, Liu J, Bess J Jr, Chertova E, Lifson JD, Grise H, Ofek GA, Taylor KA, Roux KH. 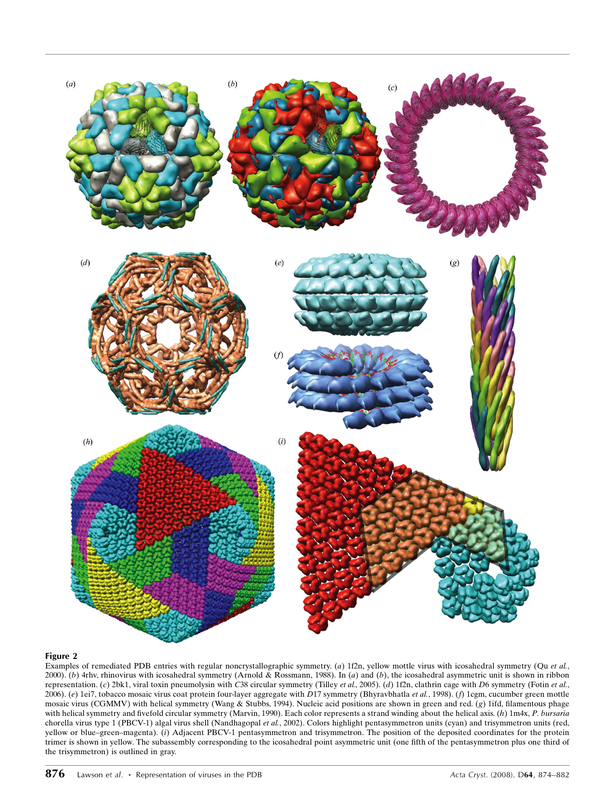 Distribution and three-dimensional structure of AIDS virus envelope spikes. Nature. 2006 Jun 15;441(7095):847-52. Epub 2006 May 24. 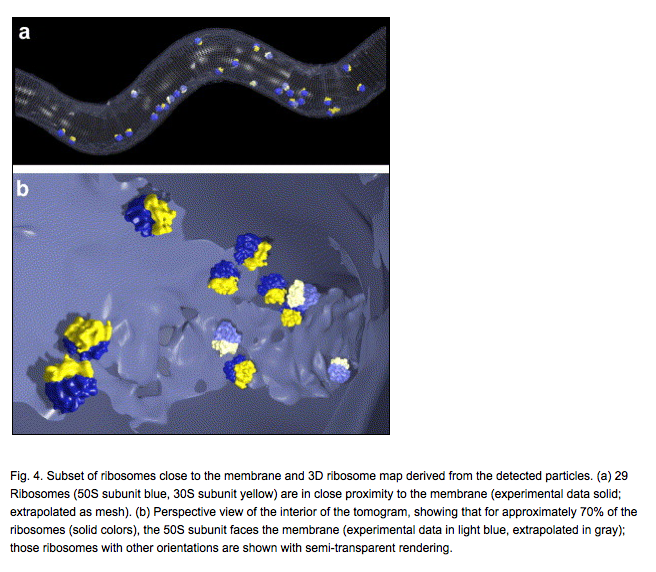 Mapping 70S ribosomes in intact cells by cryoelectron tomography and pattern recognition. Ortiz JO, F�rster F, K�rner J, Linaroudis AA, Baumeister W.